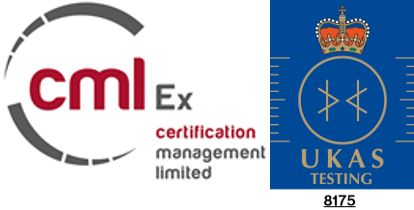 CML is able to offer UKAS accredited damp heat cycling tests according to IEC 60068-2-30 and the Chinese standard GB/T 2423.4 which is required for MA Centre approval of Group I equipment. Following a client enquiry for several large items of equipment, it was ascertained that there was no facility in the UK able to accommodate either the size or weight of the test samples or complete the test in the required time. CML assembled the required test equipment, modified it to achieve the parameters and to accommodate the size and weight of the test samples. The required paperwork for UKAS accreditation was prepared and submitted and UKAS accreditation was achieved before the tests commenced. The test involves an initial stabilising period being 25°C for the sample under test, followed by an increase in humidity to 95%. This level of humidity is then retained throughout the test. The temperature is cycled over a 12-hour period between 25°C and either 40°C or 55°C, depending on the client’s requirements. The temperature cycles are repeated over 1 to 56 days, depending on the temperature or client requirements. Warm air absorbs more moisture, therefore as the temperature increases additional water must be added to the atmosphere through a humidifying circuit to maintain the steady conditions required. As the temperature is lowered, the control system ramps down the temperature over a 3-hour period and it achieves this by intermittently activating the cooling unit. The control system is capable of controlling both temperature and humidity to tightly defined limits and also provide a record of the test for audit purposes. At these high humidity levels and with temperature cycling, the challenge is quite significant for a large chamber but CML has achieved this consistently. At CML we pride ourselves on putting our clients first. We aim to provide first class service that is responsive to the needs of our clients with our expert technical knowledge and experience, as well as showcasing new and advanced methods of certification. CML: Responsive, Competent, Credible, Innovative.